A report has shown that EU 28+2 countries recycled 6.8m tonnes (40.9%) of its 16.7m tonnes of plastic packaging waste in 2016, surpassing the EU’s minimum target of 22.5%. Commissioned by PlasticsEurope and in alliance with EPRO, the Conversion report shows that the recycling rate for plastic packaging rose from 39.5% in 2014, to 40.9% in 2016, depicting that national European recycling schemes deal well with producer responsibility. All EU 28+2 countries in 2016 surpassed the EU minimum target, said the report, with 26 of the countries recycling more than 30%, and 15 countries exceeding 40%. 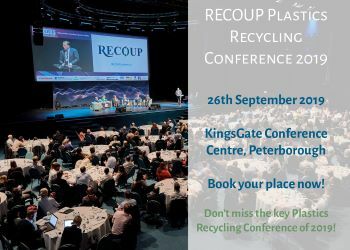 RECOUP chief executive and EPRO director Stuart Foster said that the report shows an “unparalleled interest and focus on plastic packaging resource management at the moment” and that these statistics are significant to understanding the current European position on household, commercial and plastic packaging recycling. The report examined plastic packaging from homes and industries and found that the recycling rate for trade and industry reached 46.5% (42.8% in 2014), while household recycling attained 37.8% (37.7%). While many countries have different recycling systems, EPRO has said that knowing how to sort, recycle and recover mixed streams of plastic packaging is a key topic for its working groups, as well as design for recycling. The recycling result for packaging of 40.9% is better than other plastic applications say EPRO, with the overall recycling rate for plastics reaching 31.1% in 2016. Previous articleCould China tariffs on US scrap aluminium lead to higher prices here? Where can we find the details of this report? It was a press release issued by Recoup. I don’t think it is on their website or the EPRO website yet.